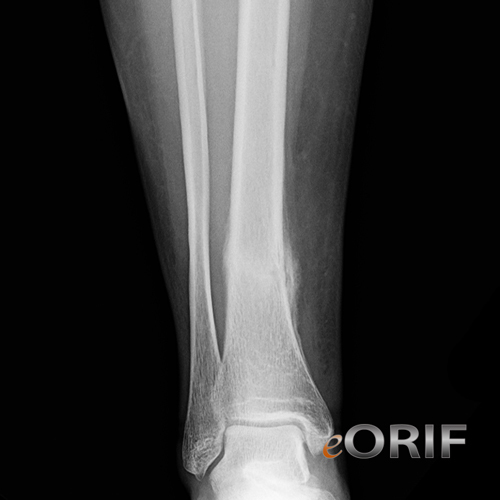 Tibial shaft stress fracture in a female. 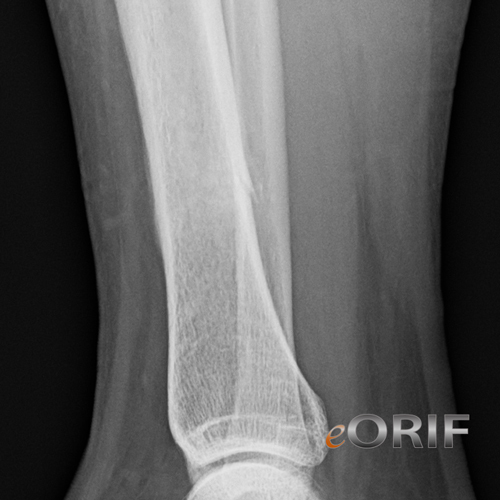 Initial A/P xray at presentation. 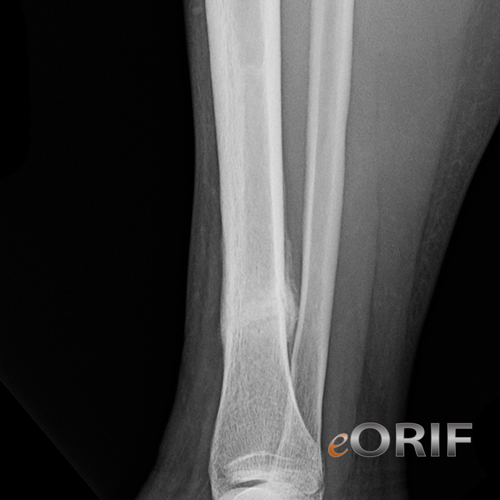 2 month follow up A/P xray. 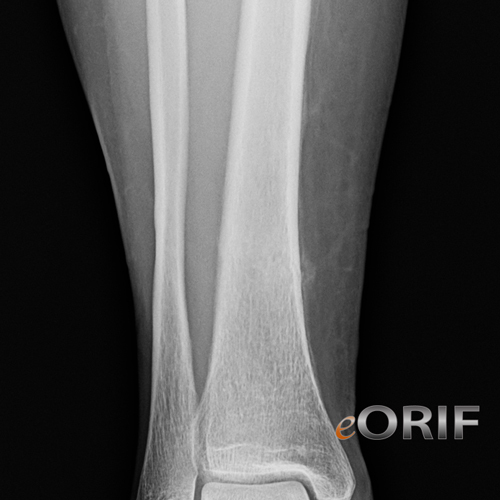 Tibial shaft stress fracture 2 month follow up lateral view.